Totem retraces the fascinating journey of the human species from its original amphibian state to its ultimate desire to fly. The characters evolve on a stage that looks like a giant turtle, the symbol of origin for several ancient civilizations. Inspired by the founding principles, Totem illustrates the evolution of our species through a visual and acrobatic language. The huge turtle shell served both as a decorative element and acrobatic equipment. Following the opening number, the skeleton must be raised above the scene. 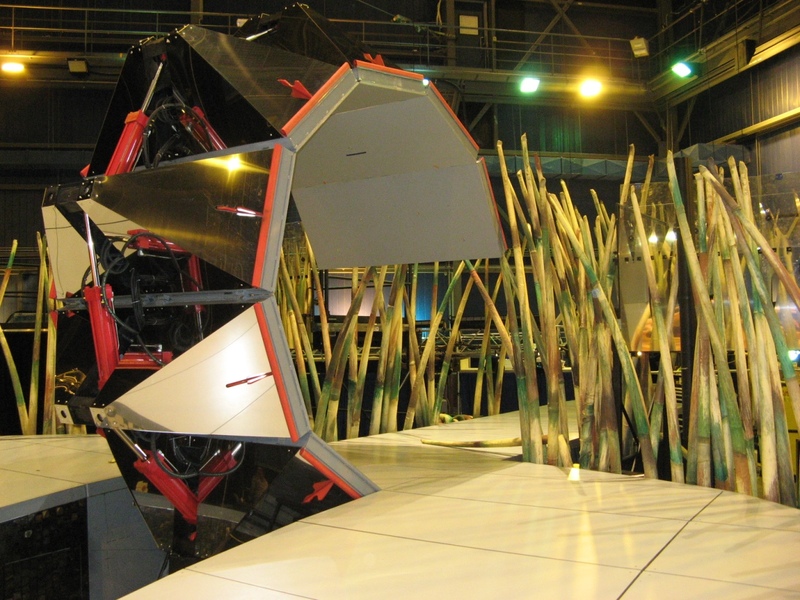 We thus designed a structure that could support the acrobats, but also adapt to the transport constraints of touring. Several elements of the stage needed to communicate with one another. The Marsh located at the back serves as the entrance for performers and a projection surface. The Marsh connects to the Scorpion bridge, which serves as a moving platform linking the marsh to the centre stage. Depending on the scene, the Scorpion bridge can take on different forms, such as decor, a boat for the clowns and a Totem. 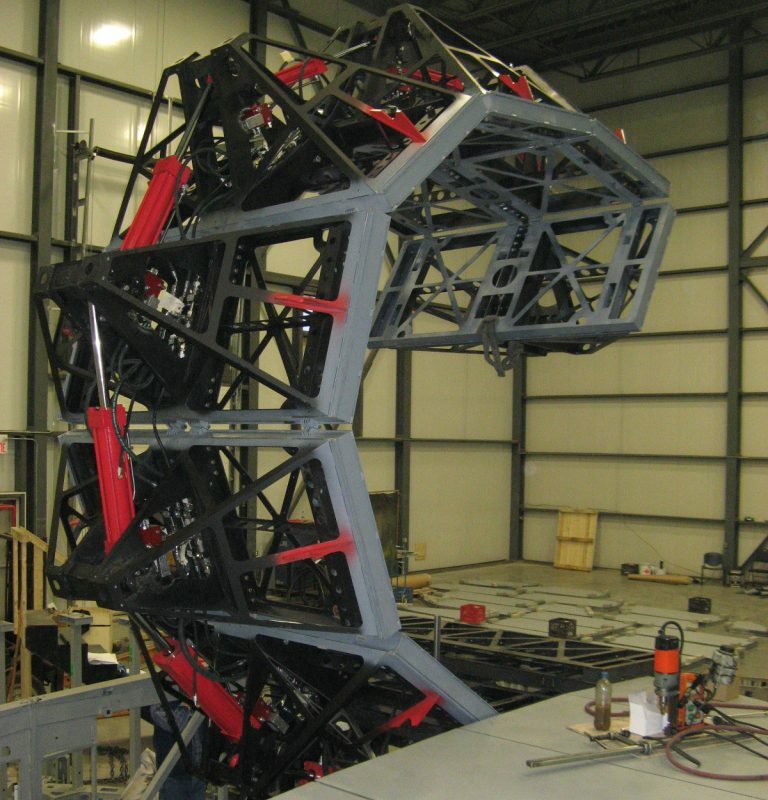 Its eight hydraulic cylinders allow it to rise, descend, extend, retract and curl in on itself like a scorpion’s tail. During the show, an operator using four infrared cameras monitors it. The musicians’ platform, located 10 feet off the ground, required a low maintenance system to raise the platform in a secure manner. We designed a telescopic leg that is manually operated. 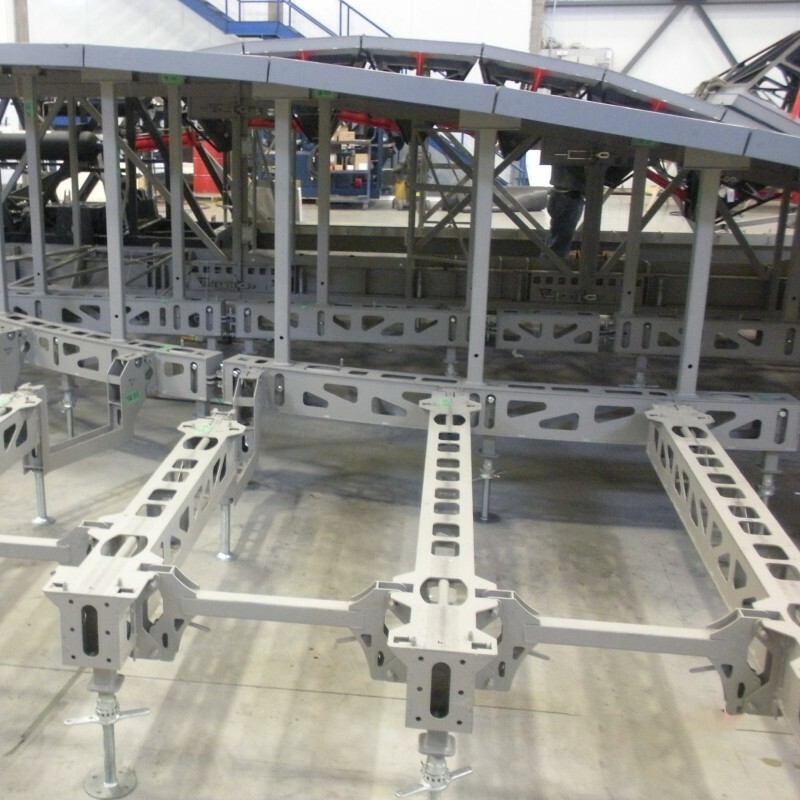 The platform’s structure, panels and fall protection can be set up on the legs at work height and then raised in place with technicians operating the legs while standing on the ground. We created with a new way to set up the different stage levels while maintaining their “no tools” OST system and the safety of Cirque du Soleil employees during assembly and disassembly.